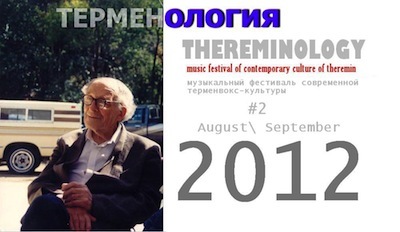 The first festival of contemporary theremin culture "Termenologiya-2011" was held on August 26th and 27th in Moscow Russia. Focusing on Leon Theremin's impulse to remove the barriers between humanity and the intuitive creation and reception of creative work, the festival featured a wide range of workshops and lectures. Here is a link to the Google Translate English page. If you can read Russian, please add more information in the comments below. They are planning the second annual event for next August, 2012.